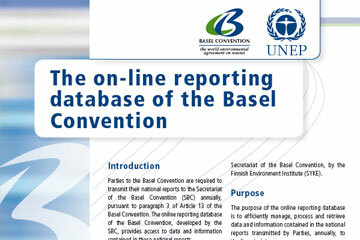 The Online Reporting Database of the Basel Convention contains data and information on hazardous wastes and other wastes, as transmitted by Parties, annually, pursuant to Article 13 (3) of the Convention (for years 2001 to 2011). Please click here to open the database (for years 2001 to 2011). For other years, please click here to visualize the individual reports as submitted by Parties to the convention.